The water we add to our aquariums is the foundation of the aquatic environment we will create and maintain. The chemical make-up of this water affects all forms of aquatic life including freshwater and marine fish, aquatic plants and invertebrates like coral, crabs and shrimp. 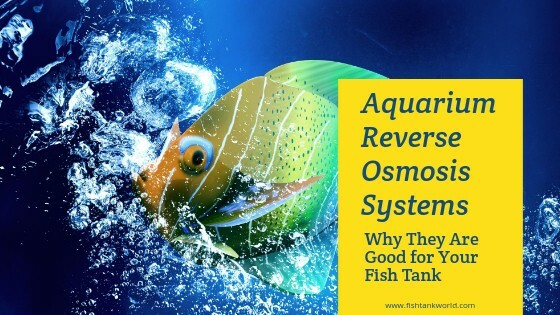 Why use reverse osmosis water in the aquarium? Reverse osmosis water is one of the purest types of water available, next to distilled water. It is reasonable to ask why this level of purity is needed or even beneficial in an aquarium. The key point to remember is that RO water is the starting point for creating perfect water conditions in your aquarium. All of the algae-promoting nutrients, nitrate, heavy metals, salts and minerals have been removed, leaving only pure water behind. This water can now be blended with a variety of aquarium salts, minerals and additives to reconstitute the RO water into the right conditions for your particular aquarium. Then, topping off with RO water maintains the mineral, salt and pH balance that you’ve worked hard to create. We have no control over the type of water that comes out our well or municipal water supply. The pH, mineral content and level of undesirable substances such as nitrate and phosphate will vary from town to town. This is due to the nature of the original water source and the treatment methods used (if any) by the water treatment plant. A well in one part of the country may produce soft water very low in minerals, with a slightly acidic pH. This is perfect for discus, South American cichlids and tetras. 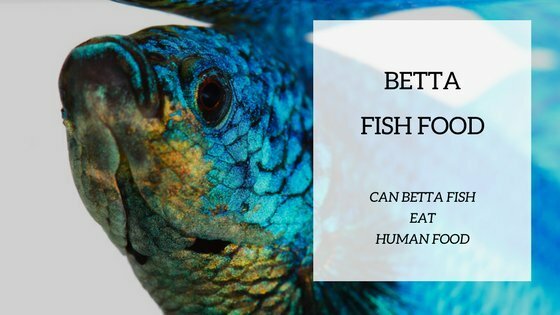 But if you’re trying to keep African cichlids, the water would be a disaster. Some treated water supplies contain phosphate-containing chemicals that battle pipe corrosion. This can stimulate algae growth in freshwater and marine aquariums. If you’re a reef aquarist, you don’t want to be adding nitrate or heavy metals to your aquarium. Even if your water supply does not contain copper or lead, it is common for it to leach into the water from metal plumbing and faucets. It would seem obvious that some sort of water filter would help make tap water safe for aquariums. But as we’ll see, not all water filters provide the same level of purification. Many people make the mistake of choosing the wrong type of water filter to make aquarium water. Faucet filters, pour-through pitchers and under-sink cartridge units only remove particulates like iron oxide (rust), sand and other grit. Activated carbon filters will remove chlorine disinfectants. While this may be better than nothing, it certainly does not provide great aquarium water. The ideal water purification system for freshwater, marine and reef aquariums is reverse osmosis. 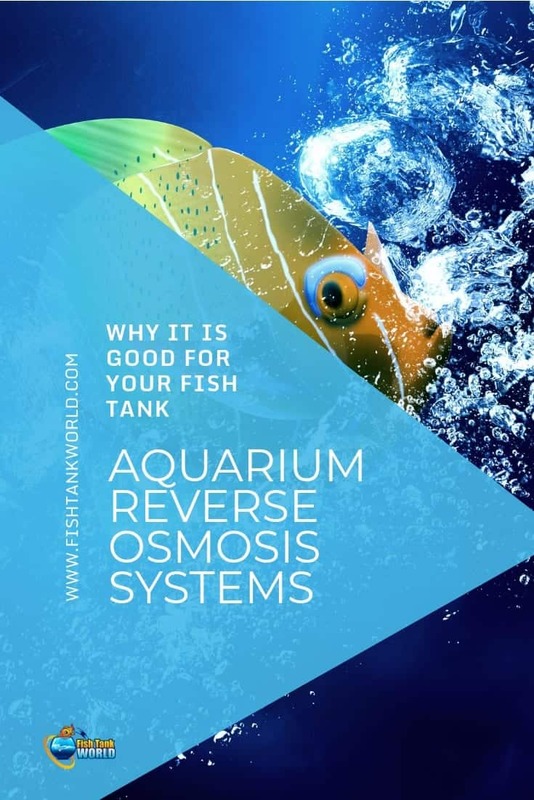 Reverse osmosis (RO) is a complete water purification system that removes all types of contaminants from your tap water supply and helps the work of the filtration system of the aquarium. Let’s understand how RO Systems work. Reverse osmosis systems are comprised of several unique stages of filtration. Each stage provides a specific function. 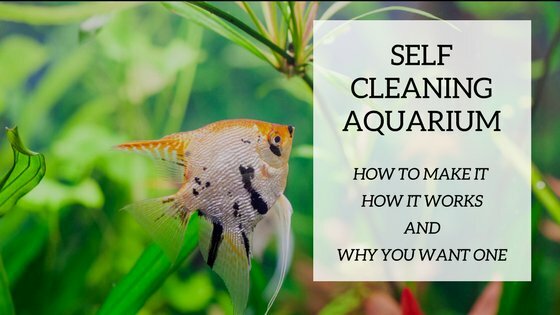 All the components work together to create purified water suitable for use in aquariums. The purification process begins by removing suspended particles of rust, sand and mineral scale flakes. These substances are not toxic but they can clog up the rest of the filtration system. Next, the water flows through an activated carbon filter. The carbon cartridge may contain granular material or be upgraded to a porous solid block activated carbon cartridge. The activated carbon removes chlorine, chloramine and hydrogen sulfide gas. The cartridge also removes organic chemicals like herbicides, insecticide, solvents, pharmaceuticals and PCBs. The water now goes through the reverse osmosis process. Water is forced through a special thin film composite (TFC) membrane. The semi-permeable membrane allows pure water to pass through but send metals, salts and minerals down the drain in a small waste water stream. The RO membrane will strip out heavy metals like copper, lead and mercury. Minerals and salts including calcium, sodium, sulfate and chloride are sent down the waste line. Nitrate, phosphate, fluoride and other contaminants are filtered out, leaving highly purified water. High-efficiency RO systems make 10 or more gallons of purified water for every gallon sent down the drain. Some reverse osmosis systems include an activated carbon post filter. This small cartridge is included to capture any traces of chlorine disinfectants as a protective measure. High-end RO systems add a deionization cartridge. The cartridge contains a mixture of ion-exchange resins that take out any residual trace of contamination. Reverse osmosis filters remove a percentage of the minerals, salts and other substances. This can range from 70% to 99%. The deionization cartridge captures the percentage that makes it past the RO process. This ensures the water is always at the peak of purification. Reverse osmosis water makes creating and maintaining a soft-water Amazonian tank easy. As the RO water contains no minerals, you can blend back just the right amount for a soft water aquarium. In some cases, you can combine a small amount of unfiltered tap water to the RO water to provide the right amount of hardness. Special “RO reconstitution” powders are also available for replenishing electrolytes, calcium and carbonates. The low buffering capacity of the water makes it easy to bring down the pH to the 5.5 to 7.0 range with pH adjusters. Tropical aquarium plants thrive in low to medium hardness water. Reverse osmosis water gives you total control of the hardness level in your planted tank. RO also eliminated excess nutrients that cause algae blooms in brightly lit planted tanks. If you’re keeping African cichlids, the same water customization options apply. Specialty African cichlid buffers, salts and additives, designed to be added to reverse osmosis water, allow you to make the ideal water for rift lake cichlids. No matter what kind of freshwater aquarium you’re keeping, RO water will reduce algae growth and mineral crust build-up on the outside of the tank. Using RO water for top-offs and water changes helps to prevent the accumulation of unwanted minerals and salts in the tank. The pH will remain stable because you’re not adding pH-shifting carbonates every time you top off or make a water change. Don't miss to check out our reviews of the best RO Systems you can use in your tank. Marine salt mixes are formulated based on using pure water. It is not possible to create a synthetic sea salt mix based on the local tap water conditions throughout the world, because there is so much variability. In order to accurately recreate seawater with the proper ratio of all salts, buffers and trace elements, the formula must be based on dissolving in pure water. This maintains the perfect ratio of all essential elements in final solution. Synthetic marine salts dissolve quicker in RO water because there are no interfering ions to retard the dissolution process. You’ll also notice that there is little to no residue on the bottom of your mixing bucket. Because RO water contains no carbonates, the marine salts won’t react and precipitate out of solution like with high carbonate tap water. Using reverse osmosis water with reef aquariums is considered essential. SPS and LPS corals are especially sensitive to heavy metals, like copper, that are commonly found in tap water. These heavy metals can leach from copper plumbing and faucets or be present in well water. Nitrate can stimulate algae growth. Phosphate inhibits calcification and coral growth. Using Reverse osmosis water prevents these contaminants from getting into your tank at the initial filling and subsequent top-offs. When considering a reverse osmosis system for your aquarium, first estimate how much purified water you’ll need on a daily basis. If you’ve got an open-top reef aquarium with lots of water movement, the evaporation rate can be quite high. If you’re making weekly water changes and daily top-offs your usage will be even higher. Reverse osmosis systems are marketed using a water production rate in gallons per day (gpd). The rate is dependent on the RO membrane’s size and efficiency. The lowest producing RO units are rated for 35 gallons per day. These gpd rates are based on incoming tap water at a perfect 60 psi pressure and a “toasty” temperature of about 70°F. These parameters are industry standards and aren’t practical in most homes. Plan on making about one-third less water than the stated rating. The good news is that you can store your RO water in plastic drums, buckets or a pressurized tank. Some RO systems come with a three or five-gallon pressurized storage tank like this one that you can find on Amazon. The tank fills with water and shuts off the RO system. The pressurized water will flow under pressure out of a valve. This is a great set-up if you need small quantities of water and like the idea of a compact water purification system. 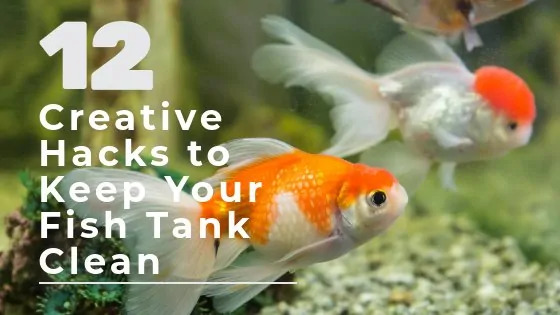 If you’ve got a basement of fish room and need many gallons of water, the small storage tank may not satisfy your needs. You’ll probably need a plastic drum to hold the water for later use. Check it out on Amazon. When shopping for a reverse osmosis system you’ll always see the same basic components as described earlier in this article. The difference will be the number of filtration units, the size of the cartridges and physical configuration. Some small RO systems are very compact with just enough filter capacity to create basic purified water. Other RO systems are more advanced and larger in size. They’ll make more gallons per day and more purification capacity. Remember, RO systems need one water line into the system and two lines out. One of the outflow water lines sends the concentrated waste-water to a drain. The other line is for the purified water, which is routed to a storage container, bucket or pressurized tank. RO kits normally come with all the basic hardware and fittings you’ll need to get set up and running. Reputable companies include easy to understand instructions, making installation a breeze. Eventually the RO’s thin film membrane will wear out. When this happens unpurified tap water will begin to pass through. You can check the performance of your RO by measuring the water hardness in the filtered water. It should be zero when the membrane is working properly. High-end RO systems include an electronic water quality meter than will alert you when the membrane needs to be changed. You’ll also want to consider how you’ll connect the filtration system up to the water supply. Small, portable RO filters temporarily connect to the kitchen faucet. You can make a bucket of water and stow the filter in a cabinet, out of the way. For larger, permanent filtration systems, you’ll probably want to tap into a copper pipe in the basement, laundry or fish room. Reverse osmosis water is considered essential for success by many aquarists. The benefits of having total control over your water quality are many. You’ll have far less algae problems. The tank won’t suffer from hard-water mineral crust build-up. Water quality will be easier to maintain. Many aquarists say their fish and invertebrates look healthier and live longer when they use RO water. The initial cost of a reverse osmosis system is far outweighed by the long-term benefits of having perfect water in your aquarium. Once you start using RO water, you’ll never go back. Let us know if you have any questions, we’d love to hear from you so feel free to drop us a comment!